Put Mint Leaves and Sugar in a mixing glass and crush and meddle everything together. Use some Soda water. Put the mixture in a highball glass and add crushed ice. 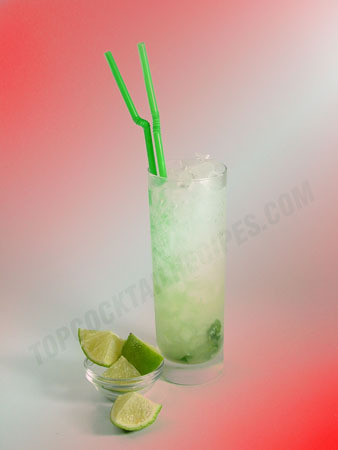 Add the Lime and the Rum and top up with Soda Water.